Let’s not turn our backs on the opportunities we have to learn from other cultures at a time when they need us most. I have just returned from a week’s holiday in Istanbul. I had been looking forward to this trip for some time, having wanted to visit this ancient city that straddles Europe and Asia for many years. 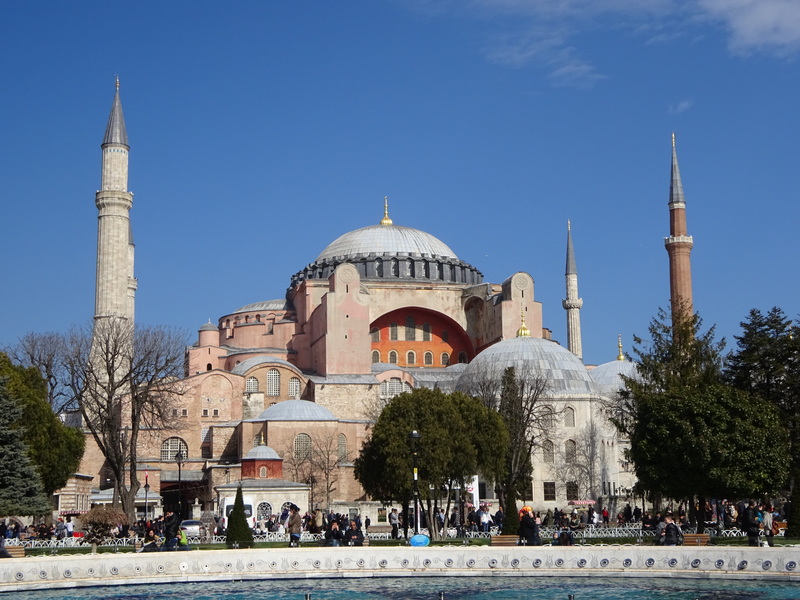 The history of Constantinople and the Byzantine Empire, renowned for its architecture, philosophy and art has fascinated me for years, and I can now say that having visited, it more than satisfied my curiosity and expectations. Whilst Istanbul is now a busy cosmopolitan city like many others in Europe, it succeeds in presenting in a most accessible manner the history of the past millennium and longer. From the Egyptian obelisk of 1500 BCE and the Theodosian Walls of the fifth century, through to the conquest of Mehmet II in 1453 and the architectural wonders created by Mimar Sinan during the mid 16th century, there is so much here to learn and to try to understand. In addition to the artefacts which are excellently presented in the several museums and the Topkapi Palace, the very streets of Istanbul present a historical face to the interested visitor. Views across the Bosphorous, the Golden Horn and the Sea of Marmara are dominated by a skyline of the domes and minarets of countless mosques and the crumbling relics of ancient fortifications. I have to confess that despite my earlier reading about the city, whilst walking the hilly streets, I found myself often contemplating the significant ignorance that I still have in respect of much that I was seeing. From this short visit to Istanbul I will retain many happy memories and will long remember many of the fascinating sights and sites of the city. However, my visit was also tinged with an element of sadness which came from talking to kindly people who currently fear for their livelihoods and face an uncertain future. Without exception the people who we met during this brief visit were friendly and welcoming, and it was evident that they wanted to make us feel comfortable within their great historic city. Yet it was particularly disturbing to hear them talking of the falling numbers of visitors and the financial difficulties caused as a result of groups and individuals who are choosing to no longer visit the region. The cause of this calamity is obvious. 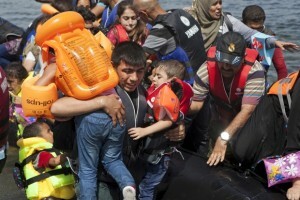 The close proximity of Turkey to a war ravaged Syria and the crisis of refugees on the country’s border has brought little by the way of positive publicity to the country. 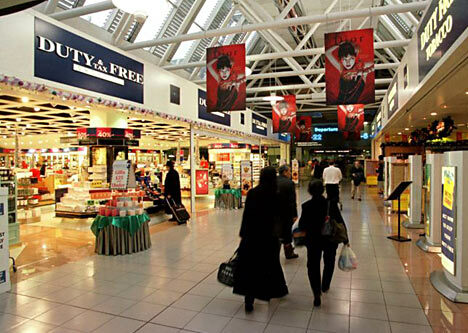 Furthermore, a number of terrorist attacks in both the capital city Ankara, and recently in Istanbul have dominated news reports and leave many would be tourists contemplating whether it is safe to travel. Indeed, during the time of our visit two terrorist incidents in and near Ankara claimed a number of lives. The fear of terrorism is likely to impact upon many parts of the world in this way. This weekend on my return to England I read in the Guardian newspaper of the efforts being made by the people of Paris, to attract visitors back to that beautiful city following the recent terrorist incidents that devastated the French nation. It is however, important to remember that the vast majority of days in Paris, as in Istanbul pass quietly and without incident. It is even more important to recognise that the people who inhabit these cities, as elsewhere in the world are good, honest and hospitable. There is nothing that the narrow minded terrorists would like more than to stifle the economies of our major cities by driving people away; a situation which we must never allow to happen. In Istanbul, probably more than anywhere I have previously visited, the close relationship between two of the world’s major religions is in evidence. 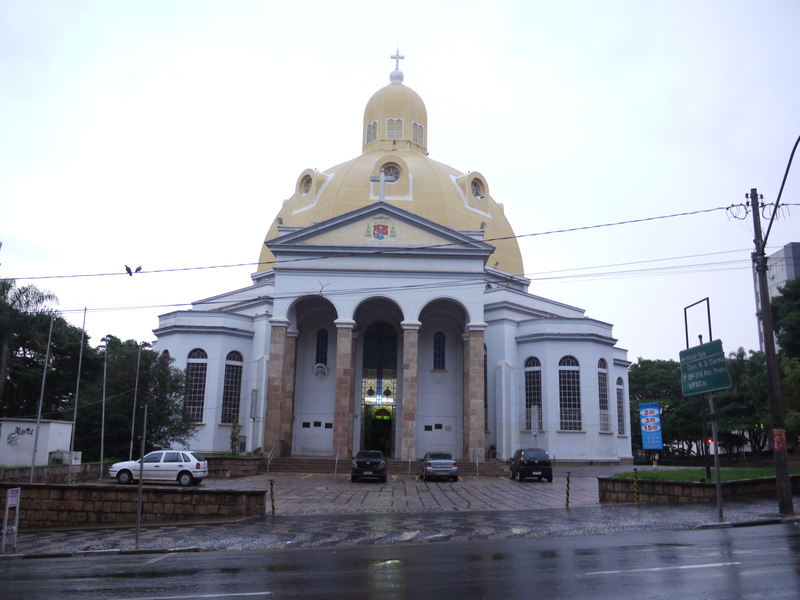 Mosques created from churches following the 1453 conquest have in many instances retained and respected earlier Christian features. Nowhere is this more in evidence than at the Hagia Sophia where magnificent tesserae depict features from the life of Christ in the form of mosaics. 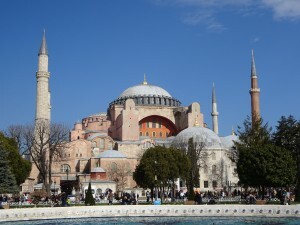 The population of Istanbul is almost exclusively Muslim, and within the traditions of that faith are making every effort to ensure that all visitors to the city feel comfortable and safe. If as tourists we choose now to turn away from this city and many others like it around the world, we will be deserting kind and decent people and handing a tacit victory to those who would deny opportunities to all who wish to learn from other cultures and beliefs. Istanbul, just like Paris, Berlin, London and many other of the world’s great cities has faced threats and violence on many occasions throughout history, but the spirit and determination of good people has always prevailed. An all too brief series of encounters with friendly people in Istanbul over the past week has reassured me that this city and its population will undoubtedly defeat those who would wish them harm. If the chance arises for you to visit the magnificent city of Istanbul do grasp the opportunity. You will be rewarded by a wonderful encounter with history and culture and through the warmth of the friendly people who inhabit the city. 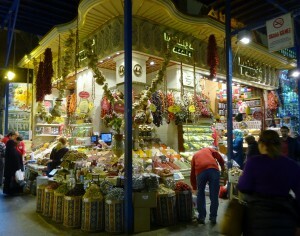 The bazaar’s of Istanbul have been a feature on the major trading routes between Europe and Asia for thousands of years. They remain dependent upon visitors to the city in order to ply their trade. Street art from the detritus of war. Surely a better use for a tank! Until I read about her in the Guardian yesterday the name Neda Taiyebi was unknown to me, as I suspect it probably was (still is?) to most people here in the UK. I hope that it will soon be a name that is better known as this young lady is engaged in an activity that deserves wider attention. Neda Taiyebi is an Iranian born artist who for the past year has been living in Afghanistan. At a time when many people have been fleeing from the war ravaged cities of that desperately poor country, Neda has chosen to travel in the opposite direction and believes that she has found a situation in which she is more able to express her artistic talents. Part of the motivation for her work is to be found in her commitment to enabling women to express themselves in an area that has been male dominated and asserts a bullish image to the world. 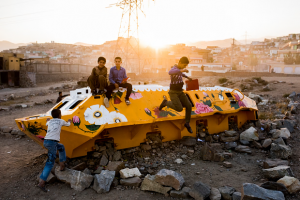 She has commenced this task with enthusiasm and by taking advantage of the devastated landscape that surrounds her in the suburbs of Kabul. Neda has noted the lack of public art within Kabul, and decries the fact that whilst efforts are being made to revive educational institutions within the city, these are seen as functional establishments with little consideration being given to the development of cultural or aesthetic well-being. Determined to begin to redress the balance, Neda Taiyebi has embarked upon a unique project to create areas of beauty amidst the rubble and chaos of the bomb torn streets of Kabul. A picture in yesterday’s Guardian shows a group of children playing on a piece of street art created by Neda Taiyebi, which is clearly bringing some joy into the lives of these youngsters. Neda’s approach to creating public art is highly original, but has been achieved by seeking out some of the most potent symbols of violence and destruction to be found in the area. So far, she has created works of art by decorating the husks of three immobilised Russian tanks that have scarred the city streets for a number of years. These previously rusting shells of burned out vehicles have been assaulted with colour, patterns and images that could never have been imagined when these armoured beasts originally patrolled the streets of Kabul. Taking inspiration from the domestic art that she had seen all around her in her home in Iran, including patterns from textiles and patchwork designs, Neda Taiyebi has demonstrated how symbols of death and ruin can be transformed into a colourful play station for local children. Drawing inspiration from such domestic items has asserted the contribution that women have made to creativity and design and has brought a more reasoned approach to interpreting the streets of the city. In so doing she has received some support from the Afghan government; though sadly, this has of necessity included the presence of an armed guard whilst she undertakes her work. As we await the arrival of Christmas here in the UK, we have become familiar with the usual colourful lights and trappings that surround us on the streets of our towns, cities and villages. Whilst very little of this can truly be described as street art, it brightens our lives in the midst of winter, and brings pleasure to children and adults alike. Perhaps the work of Neda Taiyebi in Kabul will bring smiles to the faces of people of that once great city. Her assertion that more attention needs to be given to encouraging a cultural and aesthetic appreciation of the world undoubtedly challenges politicians and educators in a country which may see other priorities. However, the smiling faces of children playing on a decorated tank which in previous times would have probably terrorised them, is just one indication of the importance of her work. Thank you and happy Christmas to Neda Taiyebi, may your work continue to bring joy to the streets of Kabul. And, of course happy Christmas and a peaceful new year to whoever may happen to read this blog. Whenever I visit schools I try to spend a little time looking at the colourful displays that usually adorn the walls and corridors. These often provide an opportunity to demonstrate the talents and learning of children, exhibiting works of art, writing or mathematical accomplishments and informing visitors about the learning and experiences of students. Teachers and other staff in schools invest time in ensuring that this work is carefully presented, and just like the students who have produced this work they take immense pride in the artefacts that decorate the school environment. A couple of years ago I visited a primary school in Ireland and enjoyed a brief perusal of a colourful display depicting early Egyptian history. Carefully constructed collages of Egyptian murals with representations of the jackal-headed Anubis and bird headed Horus, and hand written hieroglyphs covered a wall, whilst models of the great pyramids and of the mummies of pharaohs were arranged and informatively labelled on a table. It was evident that the pupils who had constructed these offerings had been encouraged to use their imaginations whilst learning about a significant civilization through a study of history and geography. 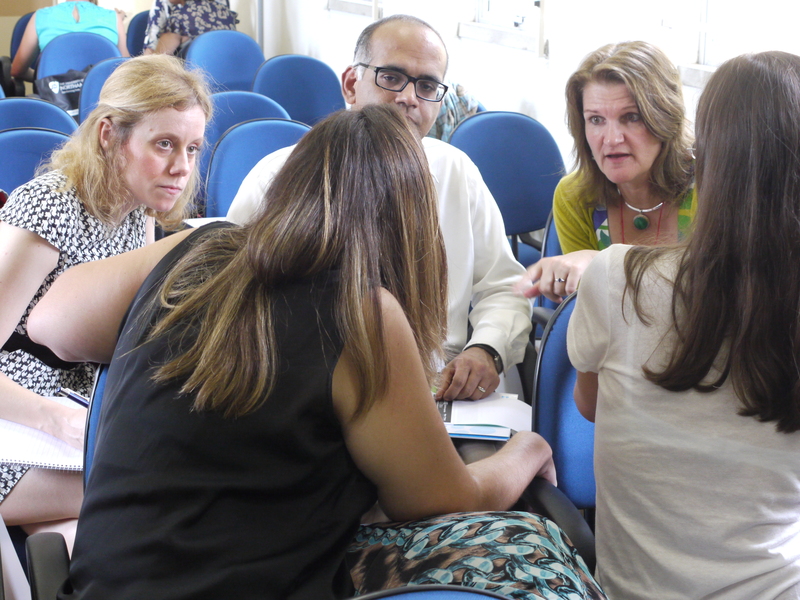 As is invariably the case, I found much to admire in the work of the children and the skills of those teachers and other school staff who had offered their support and guidance to these young learners. Similar displays depicting history, geography, literature and much more from both near at home and distant lands is to be found in most schools. When I was a child much of my learning about distant places and people was gained either through reading or television documentaries. I remember a phase of reading anything I could obtain that would inform me about the Romans and supplementing my understanding of their influence with visits to the city museum in Gloucester where there was a good collection of artefacts and information. My knowledge of ancient Egypt was largely garnered from similar sources, reinforced by television programmes that included an account of the life of Howard Carter and his discovery of the tomb of Tutankhamun, and an excellent series presented by the archaeologist John Romer. As a schoolboy I could never have imagined that in the future I would visit countries other than my own, where I could stand within some of the finest examples of Roman architecture such as the Colosseum in Rome or the amphitheatre at Autun. International travel was, generally speaking not within the remit of school children from my area, and I believed, in common with most of my friends, that my knowledge and understanding of the wider world was always likely to be obtained through reading or the media. It is partly through reflection upon my early second hand encounters with history and geography that I find myself thinking about how my life has changed, and the great privilege that I have experienced in being able to visit many countries around the world. Furthermore, often through my work, I have been able to meet people and make friends in these countries, and have worked closely with many valued colleagues whose cultural experiences of the world differ greatly from my own. A common factor in every country that I have visited is a patriotic pride that people have in their national heritage, landscape and history. They invariably take great pleasure in showing visitors the geographical, natural and architectural features of their localities, knowing that I am enthusiastic to learn about both the people of a country and the landscape and culture that has shaped their lives. It is this enthusiasm and pride that has enabled me to wonder at sites such as the Qutb Minar in Delhi, the frozen landscapes of Lapland, the Caravaggio paintings in the cathedral at Valetta, the sulphur baths of Tbilisi and the botanical gardens of Singapore. It is also, in part, through these experiences that I have been eager to reciprocate this hospitality and ensure that visitors to England have similar experiences whilst they are here. Whilst we can and must, continue to learn from reading and the use of various media, there is no substitute for first-hand experiences of places and people. Travel provides unique opportunities to engage with cultures, climate and religions that differ from our own. The traveller who is prepared to learn from such experiences has the chance to gain greater understanding of those conditions and beliefs that emphasise the ways in which we may differ from people elsewhere, but more especially those basic human characteristics that bind us together. 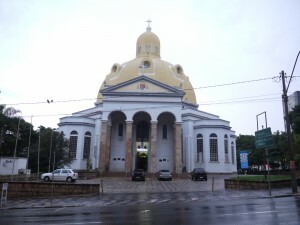 There is a commonly held belief that travel broadens the mind. This is true only if we are prepared to open our minds and to travel respectfully and with a willingness to learn about the lives of those who live in the places we choose to visit. As I write this today I am conscious of the fact that many of the opportunities for learning through travel that I had only ever dreamt of as a child, but which have at times become open to me, may now be closing for most people. Countries, including Egypt, Tunisia, Pakistan and Libya which are the cradle of many great civilizations, magnificent countryside and a rich cultural history are now seen as dangerous and off-limits to most travellers. As a result of this those people living in these countries who have become economically dependent upon tourism are suffering. Equally devastating is the fact that the inhabitants of those countries, and individuals from outside who would wish to visit, are deprived of an opportunity to learn from each other, to make friendships and to understand how much we all have in common. It is, of course, in the interest of those who would wish to limit education, and to deny individuals the chance to engage in social, intellectual and cultural exchange of ideas, to create a situation where travel is restricted. I do believe, however, that such an attitude cannot prevail. It is too late for those who would wish to roll back the years. 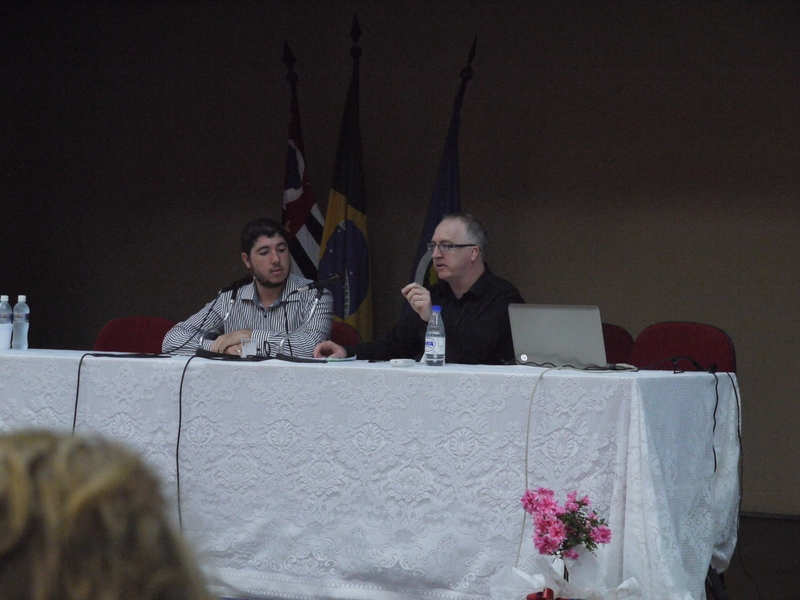 Friendships and professional associations have been made and are strong enough to endure. The desire to work and spend time together that has become a feature of internationalisation over the past half century has become embedded in the lives of many people. Artificial boundaries have been challenged, and I am sure that the desire to learn from others, to experience their cultures, to understand their beliefs and share their experiences will play an important role in the defeat of ignorance and insularity. I hope that it will not be too long before normal educational opportunities through travel and interaction are resumed. 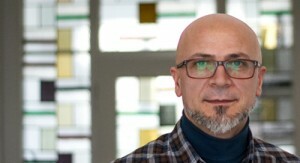 A former student emailed me today to ask if I had heard about the outstanding work being undertaken by a Kurdish art therapist named Hassan Deveci who is based in Cologne (Köln), Germany. I had to admit that I had never heard of Deveci or the work that he has conducted from his studio in that Germany city. Apparently Deveci having fled from Turkey, first applied for political asylum in Germany in 1994. Initially he lived in a basic camp as he waited three years for a decision to be made about his status. Having eventually been granted asylum in Cologne, he turned his attention and skills in the direction of helping others. The German international news channel Deutsche Welle reports that in recent months much of Deveci’s attention has been focused upon helping traumatised children who have fled as refugees from the conflict in Syria. His own experiences at having to leave his native country and settle into a different culture, have clearly shaped his attitudes and strengthened the resolve that he has to help others. He reports how his own recollection of a traumatic time in his life has motivated him to make contact with Syrian families and offer his expertise to assist children in adjusting to a new life in Germany. It is more than a year since Deveci opened his studio to a small group of Syrian children and encouraged them to express their feelings and experiences through art. It is hardly surprising that much of the work produced by the children with whom he works has a common theme related to war and death. Many of the parents of those with whom he works have expressed their own distress that the images produced by these children tell tales of horror and trauma. However, Deveci is sure that giving these refugee children an opportunity to express their feelings and emotions through art, will have therapeutic benefits. The parents report that their children’s German language abilities are improving and that they are beginning to make new friends and adjust to their new and strange situation. Equally important is the statement made by a parent that her children are having fun and doing the normal things that others are doing. Whilst this is certainly a heartening story, and an indication of the care and consideration given by this artist to a group of distressed children and their families, there are some serious questions surrounding the current situation. Deveci states that he is simply one of many volunteers who have come forward to assist children who have lost everything from their former lives in Syria. However, he is now struggling to maintain support at the level which he had hoped, simply because he is running out of materials and the ability to continue financing this initiative. Reading about this extraordinary man who sees himself as only doing what any decent citizen would wish to do, a number of matters crossed my mind. Firstly, that this man, in taking an initiative has demonstrated a level of personal responsibility and care that is exemplary and provides an outstanding example of citizenship from which we can all learn. Secondly, that those in positions of power and leadership might well benefit by considering the example he has provided and ensuring him the necessary support and resources to continue this work. I also wonder if the personal contact that he is having with these children might be having a beneficial impact upon his own coming to terms with displacement. Whilst some members of the public and a significant proportion of the media occupy themselves with inciting negative views of “migrants” and refugees, here is a fine example of a man who is more than repaying the hospitality of a country in which many continue to see him as an outsider. I would suggest that he is an excellent example of a good German citizen. Art should encourage us to make our own interpretations of the world. Bacon’s Screaming Pope was inspired by Velázquez but is not an imitation of a great work, but rather a personal interpretation and an invitation for us to create our own ideas. Sara and I have just returned from a visit to the Sainsbury Centre for Visual Arts, a magnificent gallery designed by the architect Sir Norman Foster and located in the grounds of the University of East Anglia on the edge of Norwich. The fine city of Norwich, in the county of Norfolk is a little over a hundred miles from home, and although for five years we lived in the area we have rarely returned to what is a beautiful part of England. However, we were keen to make this trip, specifically to see a unique exhibition called “Francis Bacon and the Masters,” and having looked forward to the visit for the past couple of months we were not disappointed. Francis Bacon was a Dublin born figurative painter who died in 1992. We were already familiar with many of his works, particularly those usually on show at the Hugh Lane Gallery in Dublin and at the Tate in London, but this particular presentation of his work not only exhibited paintings that we had previously not seen, but managed to present his pictures in a highly informative and thought provoking manner. The Bacon works were hung alongside those of other great painters who had influenced the artist, not only in his development of themes, but also in the way in which he interpreted the world. Pictures by Velázquez, Matisse, Picasso, Van Gogh and Titian were juxtaposed to provide the viewer with an understanding of their influence upon Bacon and the tremendous respect in which he clearly held these great masters. Several of the works of these fine artists had been brought to the Sainsbury Centre from the Hermitage Museum in St Petersburg and were being exhibited in the UK for the first time. It was a privilege to be able to see these works and to gain some understanding of how they shaped the ideas of one of the more controversial painters of the twentieth century. Critics serve a very useful purpose, but personally I like to make up my own mind when I view an exhibition, visit the theatre or cinema, or read a book. Whilst I can appreciate Jonathan Jones’ point of view, and acknowledge that of the paintings on display Velázquez’s portrait of Innocent X is the one that I will probably remember most, I do feel that as a reviewer he has rather missed the point. One of the greatest qualities of art, is the ability to interpret the world in diverse ways. Whilst many of us can look at the same object or scene, we each relate to this in a different way and if we have the skills to reproduce the image, will do so through our own interpretation and appreciation of what we have seen. Surely one of the great virtues of art, is the ability of the artist to give us his unique perspective and then allow us to further interpret this according to our own understanding. Within the “Francis Bacon and the Masters” exhibition, possibly the most extreme example of this is Bacon’s interpretation of the crucifixion, a scene depicted by many great artists through the centuries. Many art lovers will be familiar with the crucifixion as portrayed by Giotto, Botticelli, Caravaggio, Stanley Spencer, or any of a dozen other well known painters, each of whom gives an individual perspective of a scene, which of course none of them actually witnessed. I have no doubt that in their individuality each one of these depictions gives rise to a range of emotions and critical commentary from those who view them, as they pass through some of the world’s finest art galleries. What is certain is that these are pictures that hold our attention and if we choose, can encourage us to think and reflect on what it is that we see. In the “Francis Bacon and the Masters” exhibition, the curator had chosen to hang Bacon’s slightly abstract crucifixion, one of his earlier works from 1933, alongside a very conventional seventeenth century picture by Alonso Cano. If each artist had simply been asked to create a realistic reproduction of how the crucifixion scene had presented itself, there can be little doubt that Cano’s dark and brooding image scores highly on this criteria. However, this was certainly not the task which Bacon set himself, and the resulting, superficially much simpler work that he created, presents a ghostly and very personal interpretation which whilst lacking realism, evokes a sombre and in many ways macabre atmosphere. Is Bacon’s crucifixion scene as great as that of Cano’s? Does his study for a portrait of Van Gogh do justice to the memory of the Dutch master? 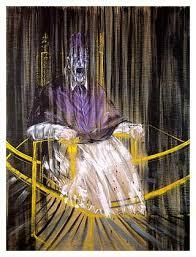 Can his screaming popes be compared to the luscious image of Pope Innocent X? It certainly can, but is this really the purpose of art? If art has an educational function, it must surely be to encourage us to look more closely at the world and to understand that there can be many interpretations of an event. More importantly, if art has a value, which I most certainly believe it does, it is that of enabling us to think more critically about what we see and to develop our own skills of analysis. We may have our own favourites, our likes and dislikes, but hopefully we look at images with a discerning and searching eye. This was an exhibition that challenged my own ideas and thinking, not about where Bacon stands in the great canon of artists, but much more about the ways in which I see the world. A matter of contrasting fortunes? Picasso’s Les Femmes d’Alger, when will we see this work again? There are occasions when the juxtaposition of articles in a newspaper gives me cause for thought. Such was the situation yesterday evening as I sat with a cup of tea and perused the pages of The Guardian. On page three, there covering almost half of the page was a colourful reproduction of Pablo Picasso’s painting Les Femmes d’Alger (Women of Algiers). Painted in 1955, this picture captures the essence of the 19th century artist Delacroix’s painting of the same title, bringing it into the twentieth century through modernist representation and the bold use of colour. It is a truly magnificent work, and as someone who is an admirer of the Spanish painter’s work, I was pleased to see it presented in my daily newspaper. The reason for the presentation of Picasso’s image were not related to its quality as a work of art, though it is undoubtedly a masterpiece. Indeed the accompanying article told the reader little about the painting’s history, the techniques deployed by the artist or its place in relation to other works from this period. 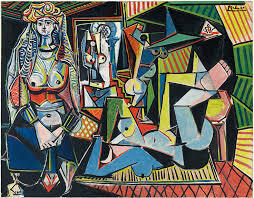 Instead, the piece written by journalist Mark Brown was wholly focused on the astounding fact that Picasso’s Les Femmes d’Alger sold at Christie’s auction rooms in New York for a staggering £114 million pounds ($179,365,000), a record for any work of art. Both the seller of this work and the purchaser remain anonymous, but I suspect that their pulse rates quickened at the announcement of the astounding monetary figures involved. By contrast, on page 40 of the same Guardian edition, Patrick Butler, the newspaper’s social policy editor, always a thought provoking writer, presented a piece in which he discussed the situation of children and families living in poverty in the UK. Just to be clear, the definition of a family in poverty used in this country, is those living on less than 60% of median national family income. In a well considered article, Butler suggests that the UK government target of reducing child poverty to less than 10% of the overall population by 2020, is unlikely to be met. The government policy of austerity, which is set to continue following the recent general election, appears likely to make this target unrealistic and may well exacerbate the situation to previously unrecorded levels. Indeed, he reports that the well-respected Institute for Fiscal Studies estimates that child poverty, currently recorded at 17% is likely to rise to 21% by the end of the decade. A figure that should make anyone who has a concern for the welfare of children stop and think (or better still protest against this appalling situation). In contrasting the two articles, I must make clear that I have no difficulties in accepting that an anonymous purchaser can afford to pay such an eye watering sum of money for a painting. (Though I do hope that we will all have the opportunity to see Les Femmes d’Alger hanging in a public gallery and that it will not simply linger in a secure bank vault from now on). The reporting that we have such wealthy individuals in society is simply a fact of life that we have recognised for many centuries. I do however, have major concerns that whilst the sale of a work of art for a huge amount of money is celebrated and features high on the world’s media agenda, we confine the report on child poverty to a few column inches at the foot of page forty in a single newspaper. In considering the two articles in the same edition of the Guardian, there was one word that remained in my mind for some time after reading both. Anonymity appears to be a feature of both pieces. The vendor and buyer of the great Picasso picture both remain unknown. They have presumably chosen to remain anonymous, shunning personal publicity in part for their own protection from the media and possibly those who might target their wealth. In Patrick Butler’s article, those children who are currently living in poverty, and those likely to be in this situation in the very near future, are also unnamed. This is not a criticism of the journalist, who can do no more than report the facts as he has obtained them. I suspect that many such children and families would also wish to retain anonymity in order to maintain their personal dignity and in the hope that their circumstances might change. It seems to me strange that what I would see as excessive wealth, and abject poverty are both seen as a legitimate cause for anonymity. I wonder what the underlying purpose of this secrecy may be? Could it be that there are elements of guilt or shame associated with these situations? Might it be that anonymity ensures that we do not see these phenomena in personal terms and therefore feel more distanced from them? Certainly I find it difficult to relate to a situation in which I could spend £114 million on a painting (or anything else for that matter! ), but I am sure that I probably also have only a vague understanding of what it must be like to live in poverty. By anonymising these situations I am protected from having to understand the personal experiences of others. Perhaps it is one of the great virtues of newspapers that they can provoke this kind of thinking by publishing such contrasting articles on the same day. Both Mark Brown and Patrick Butler have presented us with facts, but it is for us to determine how we interpret these and to consider our emotional responses. I do hope that the new owner of Les Femmes d’Alger enjoys this Picasso masterpiece, and that he enables us to share in his pleasure. I also hope that Patrick Butler and the Institute for Fiscal Studies are proven wrong in their predictions and that life will improve for the many families suffering hardship and penury. Will a whole generation of children miss an education in Syria? A Report just issued by the charitable organisation Save the Children, which draws upon research evidence from several reputable international agencies, highlights the devastation caused by the current conflict in Syria. The report, titled, The cost of war: Calculating the Impact of the Collapse of Syria’s Education System on the Country’s Future, documents the disaster for children caused by the appalling conflict that has been a regular feature of news programmes on our television schools for the past four years. It makes for harrowing reading and says much about the lack of care given to protect the innocent during times of conflict. The report states that before the start of the war, the majority of Syria’s children were enrolled in primary school, and there was a significant commitment to education on the part of the government and families. Literacy rates at this time were at 95% for 15–24-year-olds. Today, almost 3 million children are out of school and the country has one of the lowest enrolment rates in the world. The example of the city of Aleppo is given where the enrolment rate is shockingly low at around 6%. 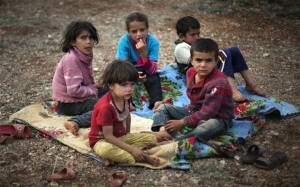 Furthermore, half of the Syrian children currently in refugee camps are not receiving formal access to school. The report estimates that the cost of replacing damaged, destroyed or occupied schools and lost equipment could be as high as £2 billion ($3 billion). Many of the country’s teachers have been killed or are directly involved in the conflict, and even if peace returns soon, it will take many years to restore education provision to more than a minimal level within Syria. The danger is that there will be a lost generation who have not had the benefit of formal schooling. Syria is a nation renowned for its literature. I recently read Rafik Schami’s excellent and moving novel The Dark Side of Love, and I similarly enjoyed Fragments of Memory: A Story of a Syrian Family by Hanna Mina. These writers are articulate and educated individuals who drew attention to Syria for the most noble of reasons. They represent a rich and proud artistic heritage and provide insights into the emotions and passions of an educated and cultured Syrian people. One wonders from where the next generation of Syrian writers, artists, scientists and engineers may emerge. Probably not from a land where the infrastructure, and in many instances the will of the people has been so clearly destroyed. All sides in the Syrian conflict make claims about fighting for justice and freedom, yet what they have currently caused is chaos and hatred. In the midst of all this, as in all conflicts, there are children who are powerless to effect change, who are denied an opportunity to receive even the most basic education. If as the United States senator Hiram W. Johnson, stated in 1918, “the first casualty of war is truth,” then the second is surely those women and children who will be expected to rebuild families and homes when the conflict is over. The Syrian writer Maram al-Massri sums this up well in her poem Women like me, where she describes the disenfranchised nature of the innocents amidst conflict. do not know how to speak. and do not dare return them. of freedom . . .